Cape May Commemorates 60th Anniversary of Dr. Martin Luther King Jr.'s Visit and Stirring 1958 Speech 'Nonviolence & Racial Justice' ~ The History Girl! Members of the public are invited to attend and join in a community celebration of an important moment in local and national history during "Martin Luther King Jr. in Cape May: A 60th Anniversary Celebration," on Wednesday, June 27 at 7:00 pm at Cape May Convention Hall, 714 Beach Avenue, Cape May, NJ. Admission is free and light refreshments will be available. This special evening of remembrance, music and fellowship is presented by The City of Cape May, in association with the Center for Community Arts (CCA), the Mid-Atlantic Center for the Arts and Humanities (MAC), Chamber of Commerce of Greater Cape May, Macedonia Baptist Church and the Greater Cape May Historical Society. Martin Luther King Jr. at the Friends General Conference in Cape May, 1958. Source: Courtesy of Friends Historical Library of Swarthmore College. 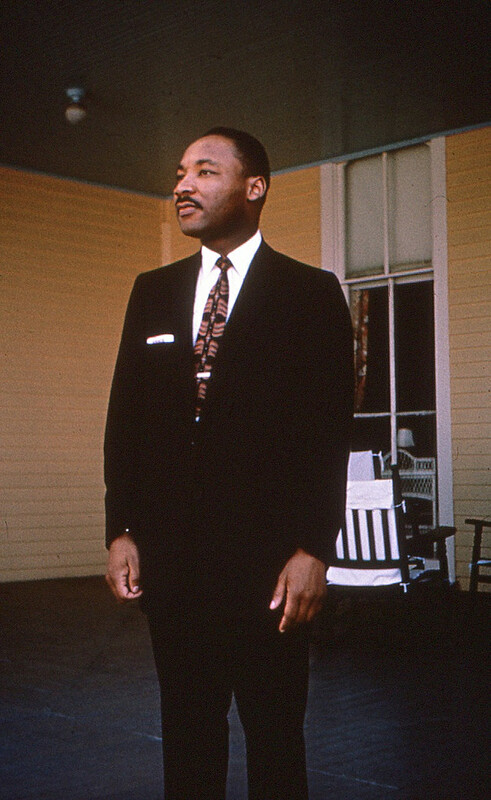 "Martin Luther King Jr. in Cape May: A 60th Anniversary Celebration" will feature a performance of the speech titled "Nonviolence & Racial Justice," which Dr. Martin Luther King Jr. presented June 27, 1958 during the Friends General Conference in Cape May, June 23-30, 1958. Held during the height of the Civil Rights Movement (1954-1968), the speech was part of the biennial Quakers' Friends General Conference. These Friends General Conferences have been held since 1868 and Cape May was host for over 30 years, from 1928 until 1962. According to reports of the time, attendance at the Friends' conference in 1958 was anticipated to match the 1956 record at 2,500, yet reality exceeded expectations. According to writer Larry Miller in the May 2000 issue of Friends Journal, the conference attracted 3,200 attendees including 1,000 children - which he noted as a high point. Attendees made their own housing and meal arrangements. The Conference was titled, "From Fear to Faith." Major speakers were featured in evening addresses and included Dr. King, then president of the Montgomery, Ala. Improvement Association, and American political journalist, author, professor, and world peace advocate Norman Cousins (1915-1990). "Nonviolence & Racial Justice" by Martin Luther King Jr.
Excerpts of Dr. King's speech will be read by Derrick McQueen and the context of his speech will be considered given the intervening years, by Harold Dean Trulear, Ph.D., Associate Professor of Applied Theology, at Howard University. Musical selections will be offered and a plaque noting the 60th anniversary of Dr. King's visit to Cape May will be dedicated and permanently displayed at Cape May Convention Hall. Members of the public are invited to attend and learn more about this inspiring period of local and national history and celebrate the man whose words helped change that history for the betterment of mankind. For more information, call 609-884-9565 or visit www.discovercapemaynj.com.